As the late, great Bob Hoskins reiterated in the nineties as part of the BT ‘friends and family’ campaign, it’s good to talk. It’s been over twenty years since the advert was first shown and environments have changed, but the meaning couldn’t be more appropriate. In the ever changing business environment, in which we all take part, we recognise the importance of communicating, however gauging when and how is best to communicate can be tricky. The environment in which we work today has vastly changed since the existence of the internet. With the rapid growth in technology, there is now a range of communication methods available; from email, instant messaging, social media and conference calls, with the list ever growing. There are more than enough ways to communicate and often they can amount to message overload for employees. Research by Radicati highlights that in 2015, 122 business emails were sent and received worldwide per user per day, with the suggestion that this figure will rise by 3% year-on-year. How much time out of your average day do you spend sending and receiving emails that aren’t necessarily adding any value? Are we just emailing for the sake of emailing? Is it more appropriate to have a face-to-face conversation, or even a phone call? Would we get to where we want to be faster if we used a different avenue of communication? These are the sorts of questions we should all be asking ourselves when thinking about which method of communication is best. Yes, we may have the technology to support multiple communication strategies, but how do we know when is best to use each type and what are the behaviours that drive us to do so? Is it better to take it back to basics and have a face-to-face conversation? In short, not always. It depends on the situation and the message we are trying to convey. Our passion to drive performance and change behaviours across multiple operations is hinged on our ability to use the correct communication methods in the correct situation. When information is not transferred in the right way, it can be misunderstood or even misinterpreted, resulting in tasks being completed incorrectly, leading to lost time and ultimately low productivity. Driving the performance of your operations can be a sensitive topic, often an incorrect assumption is made that it is automatically about ‘cutting heads’. Managing performance can be difficult and giving managers the correct tools to do so is important. 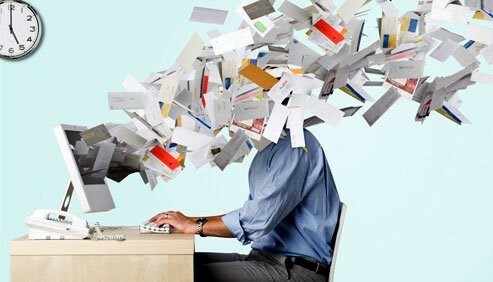 Trying to manage performance through email communication will just not get the desired results we are all looking for. Having the ability to read the recipient’s reaction through body language and emotion is key to understanding the issues and ensuring the message is not incorrectly portrayed. In order to change behaviour, you need to understand behaviour, and this is not something that can be seen from an email. Yes, in the right context and environment, emails can add value and by no means should be discounted. However, when wanting to embed behavioural change; engaging with your employees, understanding the issues and gaining buy-in are all crucial in making any behavioural change sustainable. So agree with Bob, it’s good to talk.